It is generally believed that blacks do not have blue eyes. 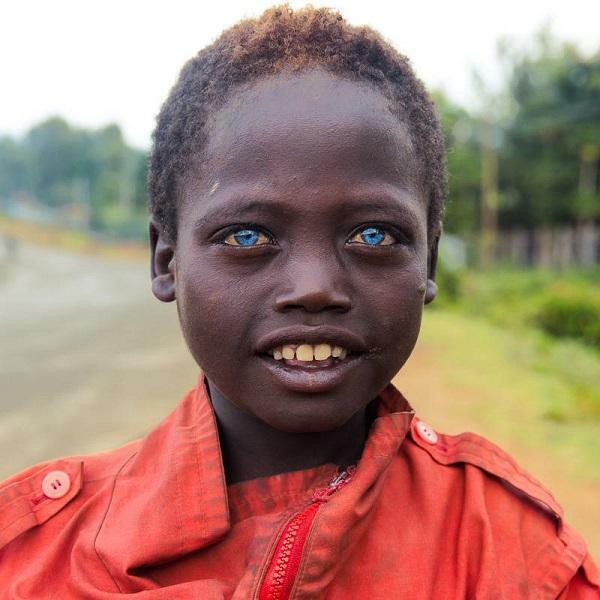 These strikingly coloured eyes have always been associated with Caucasians. 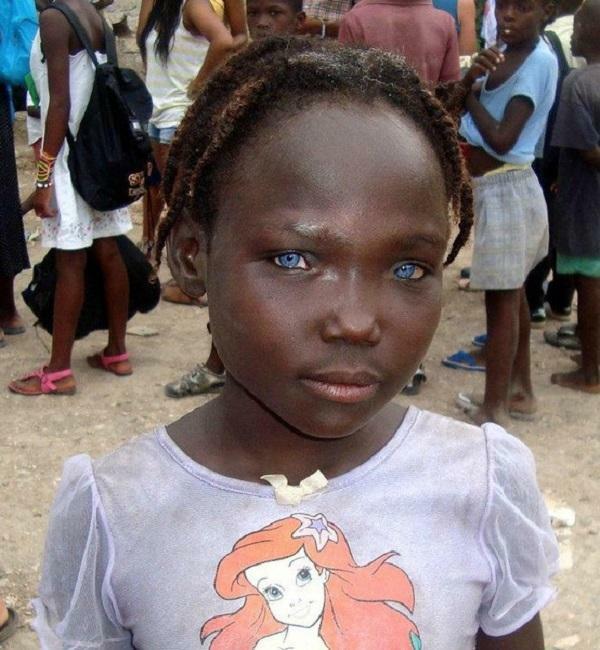 However, there is a small percentage of Africans born with cerulean blue eyes. Actress Vanessa Wlliams and actor Michael Healey are famous people with blue eyes. So, why do some black people have blue eyes? An answer to the question was revealed according to scientists, is attributed to a genetic mutation or Waardenburg syndrome (WS), a rare disease (1/40 000) characterized by sensorineural deafness associated with pigment abnormalities and tissue abnormalities derived from neural crest. However, it is also a historical truth that Africans colonized by Europe more than 10,000 years ago. And were in fact, the first homo sapiens to cross Europe into Asia and the South Pacific. Could it also be that some blue-eyed blacks could inherit their ancient African ancestors and whites who met during Europe’s colonization by Africa? This question has become more relevant because some children born to both 100% black African parents have “blue eyes”. 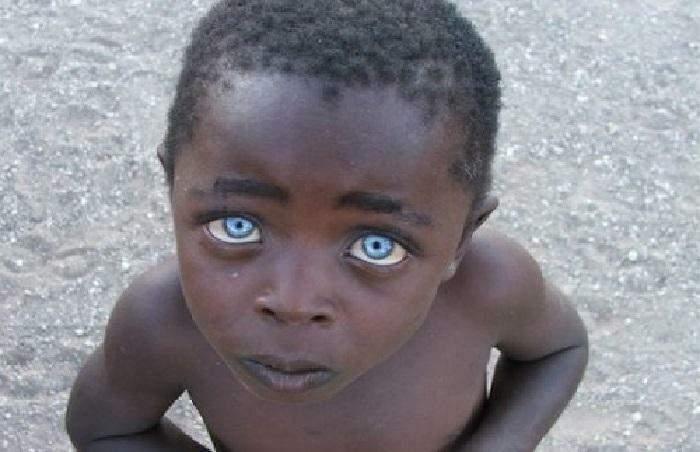 This photo is, perhaps, the best example of a black African, non-mulatto, non-albino, with blue eyes. 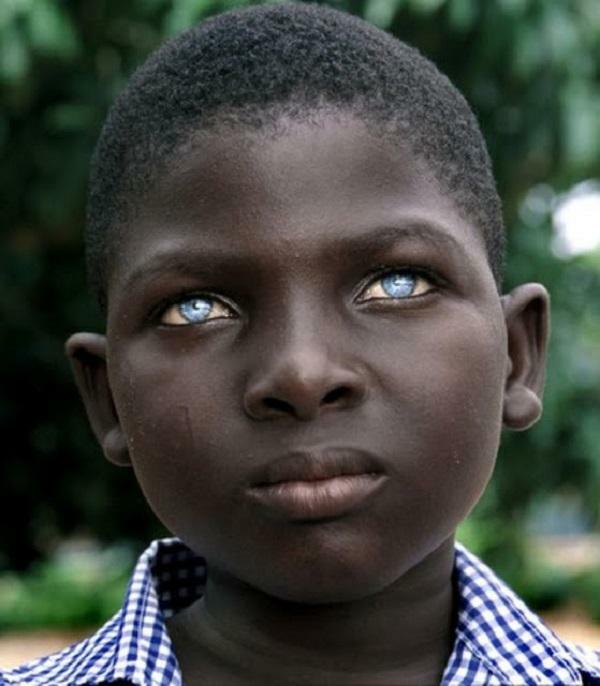 In addition, the boy on the picture does not seem to have Waardenburg syndrome, also a source of blue eyes among blacks. This leaves the strong possibility of a rare mutation of a key gene of eye colour. There are four types of Waardenburg syndrome, with a mix of possible characteristics as a determinant. The boy in the picture above shows two main symptoms of type 1; bright blue eyes and dystopia Cantorum, a condition where the inner corners of the eyes are further apart, but with eyes normally distanced. Waardenburg occurs once in 42,000 births, and it is inherited from a single parent who may or may not have similar characteristics. With regard to the eye, colour anomalies come in three forms; heterochromia (multiple colours), bilateral isohypochromia (pale blue eyes), or pigmentary fundus alterations. Thus, in addition to natural blue genetic eyes in dark-skinned people, as we have already mentioned, Waardenburg’s understanding is another way of accurately recognizing the phenotype (gene expression) in the colour of the eyes. Next articleAU summons summit meeting on Congo crisis: will votes be reconsidered?